More and more frequently, for conditioning of hair and body, we choose vegetable products, which are expected to provide us with natural nourishment and moisture without any chemical or harmful substances. One of more interesting vegetable oils, used in cosmetology is moringa oil. Here are some interesting things you might not know about it. # It is suitable for use even up to 5 years. Moringa oil is one of the stable oils with very long expiry date. If stored in a cold and dark place, it preserves its properties even up to 5 years. It never goes rancid and is not sensitive to heating up. # Its properties are known since the antiquity. Moringa oil was first mentioned in 1400 B.C. in Egypt – at that time it was used in cosmetology as a base ingredient for anti-wrinkle cosmetics with frankincense, papyrus and fermented vegetable juice. # Can be used as a fuel for lamps. Extremely valued in cosmetology, moringa oil, is used also in industry, and it’s all thanks to its stable form. In XIX century, it was used as a fuel for lamps and as an ingredient of paints. # It shouldn’t be stored in the fridge. There is this common believe, that vegetable oils should be stored in the fridge, so that they wouldn’t lose their properties and last longer. Moringa oil in low temperatures solidifies and the storage in the fridge is no good for it. Despite it, it likes a bit lower temperatures than the room temperature as well as dark places. # It is obtained from the kernels of the “miracle tree”. Although it may sound funny, described oil is extracted from kernels of miracle tree. It relates to the rich properties, which are so well known for ages and that contributed to it being called: the miracle tree, the tree of life, the paradise tree, the magical tree or the best friend of a mother. # It is used as a carrier for perfumes. 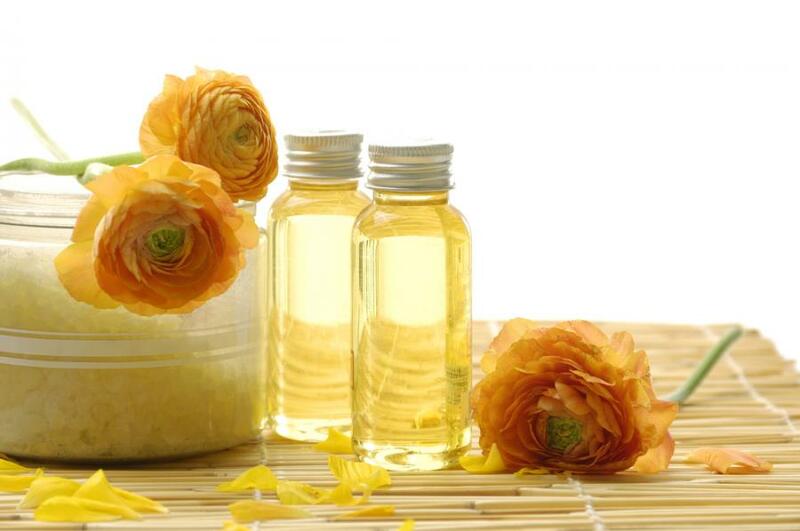 Properties of moringa oil make it easy in use as an oil base for perfumes. Light, with great absorption, without an intense scent, well interacting with skin and of course stable form of moringa oil are values appreciated by many perfumes’ manufacturers. # Can be used to treat the water. What’s interesting, properties of Moringa oleifera are so diverse that it can also be used to treat water. Powdered, dry leaves of the tree and concentrated moringa oil purify the water of any bacteria, also its more dangerous strains.